Given that theses sets average around 370 pieces each (except for the two 1941 edition at 160 each) you can see the scale of the task. I sorted all the pieces into national types and each nation was assigned a storage box, similar to those that the block armies reside in. I also made sure that national equipment stayed with its home nation. For example all of the Sumner and Fletcher class destroyers are stored with the US collection and the British have all the copies of HMS Hood. There are numerous examples of types that I have more of than can reasonably used - HMS Hood being an example as I have 12 of them. The British also have rather a lot of Spitfires and four engine bombers - the Halifax mainly but also a dozen Lancaster bombers. The US P40 is a useful addition and will serve with the Russians and the RAF. The surfeit of single engine fighters is good because it means theatre specific paint jobs will be the order of the day. The main German tank is the Panther which is shame but again, there are sufficient to able to have fun with camouflage schemes. The good old Sherman will of course be used with the British and the Russians although they have plenty of 76mm armed T34 tanks. The Japanese tank looks like a dead ringer for a Panzer 38(t) so I suspect these may feature at some point. 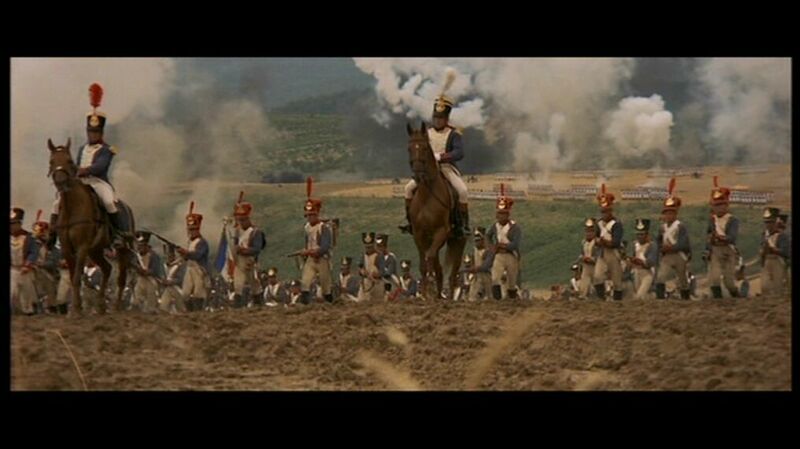 I also have a huge amount of 20mm infantry for each of the combatant nations. These figures are typical of the national type so you have a jackbooted German, a Russian with a SMG and British infantryman in 8th Army shorts. The Japanese entry is looks suitably menacing with a fixed bayonet whilst the GI looks very 'Commando comic' with his rifle across his chest and advancing purposefully. These could be readily used for a game and indeed, it would not be too much hassle to paint them. I intend doing this at some point but that is a project in itself as I would need to add support and vehicles etc to make full use of them. It is on the cards but I have no idea when as the first order of business remains the naval dimension. For the present I have pretty much all that I need so the order to Historical Boardgames is a lot easier to organise. For the most part it is ships but I will also be adding in some land transport, trucks and similar. Other than that it is about as far as I need to go. Many thanks once again to Tim Gow for thinking of me. I now have a lot of Axis and Allies game pieces. When I say a lot I mean around 7 sets worth so there is a prodigious amount of plastic to play around with. Initially I was looking at purely historical forces - meaning some acquisitions from Historical Boardgames to round out the naval forces was needed - and certainly these will feature but I was struck by the amount of material that would be, well, spare. The solution came to hand quite unexpectedly and as is usual in these cases, I was left kicking myself as to why I had not thought about it previously. Some while ago I had a brief flirtation with the Turkish army of WW2. I had notions of a scenario whereby the Turks had thrown in their lot with Germany and that a German 'Asia Korp' had been sent to bolster the Turkish Army and was engaged in the Caucasus. there was even a couple of blog posts on the subject as I recall. Historically of course Turkey opted to remain neutral despite being courted by both the allies and the axis - she was simply not in a fit state economically to engage in a modern war. The scenario I envisaged to a certain extent mirrored that of the Germans supporting the Italians in the desert and for sure, the advantages to Germany of having the Turks as allies would be many (and was probably why Churchill was so relieved with the Turks 'Ally friendly' neutrality). 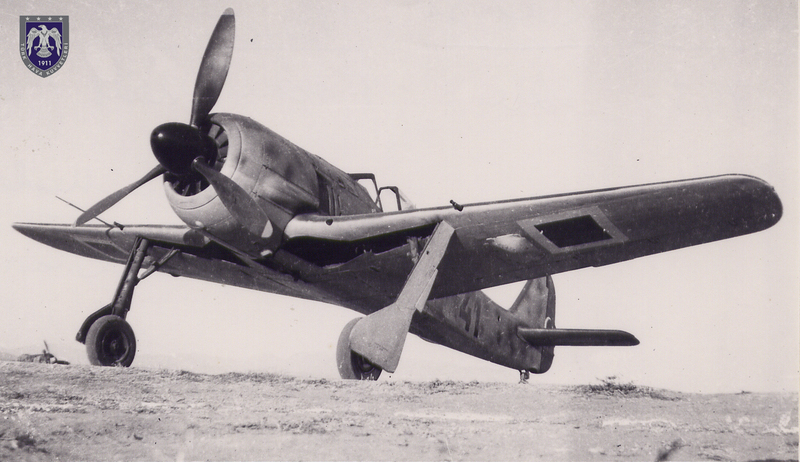 Although Germany supplied the Turks with some Panzers and aircraft - they really liked the FW190 - the government were able to keep them at arm's length for the duration of the war. Indeed the provision of the tanks mentioned - 56 Pzr 3 J/H and 14 Pzr 4 G - was accompanied by some none-too-subtle prompting during March to May 1943 for the Turks to attack Russia. Had Turkey thrown in their lot with the Germans the effects could have been far reaching. To begin with the Russians would have a belligerent Turkey on and behind their Southern flank - launching an offensive to coincide with Operation Zitadelle - the Kursk operation. This would have forced the Soviets to keep substantial forces away from the main fight against the Germans. The British would have to ensure that sufficient forces were deployed in the Eastern Mediterranean to counter any potential Turkish moves in the Middle East. This in turn would have had an impact on the Western Mediterranean. This leads me back to the opening paragraph in that I have an enormous amount of spare kit from the Axis and Allies sets I have been acquiring. A lot of this could be pressed into service to bolster the Turkish armed forces for operations against the Russians and indeed, the use of a German 'Asia Korp' alongside the better known 'Afrika Korp' means that the US supported British forces could be caught between the two. The more I think about this the more interesting it seems. As a postscript to the supply of German material the Allies responded by shipping to Turkey 25 M4 tanks, 220 M3 tanks, 180 Valentines and 150 Mark 6 Light Tanks as well as a goodly selection of aircraft. Turkey eventually threw in their lot with the allies and declared war on Germany in February 1945. Whilst visiting Wayland Games for club night last Wednesday evening I had a little time before the denizens of SEEMs arrived. I was not stopping long - merely to catch up with Mr Fox - as a busy day at work and a few domestic issues meant that I was not really on top form. I wanted to show Mr Fox the Axis and Allies model of HMS Hood so he could see what they are like. You may recall seeing this in a previous post - it is a nice model albeit a little ‘heavy’ looking in respect of the top hamper - but I wanted an independent opinion. Whilst waiting around I found myself (oh look - there I am....) next to a vaguely seascaped table that measured 6ft by 4ft so I decided to see just how the model looked from a scale perspective. The Mighty ‘Ood’ in all its pre-painted plasticness. The above was the close up whilst the following picture shows her deployed as though in an engagement. I wanted to see how this size of model would look on the tabletop and so I was pleasantly surprised to see that it looked OK. I have used 1/3000th scale ships over the years equally successfully - I am of course talking about the ‘look of the thing’ - and for me the key criteria is the illusion of distance. Using smaller models makes the distances look bigger somehow which serves to make the ‘abstractness’ more believable. There she is once again. I have pretty much all that I need for phase one of the Axis and Allies naval set up in respect of models - I have a small order going to Historical Boardgaming for some bits and pieces - and so now the real work of painting and finalising the rules can continue. I am pleased though with my impromptu experiment because it has in many ways justified my decision about the models I am using. Plenty more to do though! 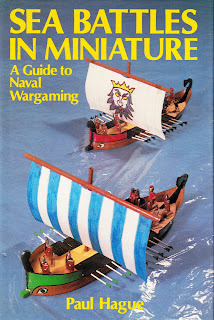 The first edition of Paul Hague's series on naval wargames - and one of my favourite wargames books. I would not call this a sequel - more like a themed collection of ideas that expand elements of the first edition. I have owned the first edition of Paul Hague's Sea Battles in Miniature for some time now and indeed, have fought some cracking actions using the WW1 set back in the early 1980s. I had seen the follow up volume around but for one reason or another had never gotten around to adding it to my collection. All that changed as a result of a phone call with Mr Fox a couple of weeks ago as he had a copy that was no longer required and would I care to take it off him? The deal was speedily concluded and so I am now the proud owner of a copy of Naval Wargaming. There are some nice ideas contained in its pages - I like the dreadnought based damage section although it is wholly unsuitable for what I am currently developing as it is better suited to small scale actions. There is a submarine warfare section that looks interesting as well as a large scale ancient galley hex based set of rules and something for the large battles of the 17th century. I took delivery yesterday of two copies of the Axis and Allies: 1941 WW2 strategic level board game as part of my WW2 project. These two are in addition to the original 2004 edition and the revised 1942 version. As usual I was only interested in the miniatures as I have planned many uses for these. The 1941 edition of the Axis and Allies game is a hugely popular, almost introductory version of the game. It has been designed to an inexpensive version of the ‘fuller’ editions and so a number of cost cutting measures are in place. To begin with cardboard counters are used for the strength chips and the miniatures count is down at 160 rather than the 370 for the 1942 version. The choice of miniatures is also quite limited although they are all new sculpts (except for the infantry figures) not seen in other versions. For the Allies (which are for the purposes of the game are the UK, USSR and the USA) their heavy bomber is the Lancaster, the fighter is the P40, the battleship is HMS Hood, the carrier is the Soviet unfinished ship with an unpronounceable name, the destroyer is the USS Sumner and the merchantman is a UK Fort class. For the armour they have a JS 2. For the Axis (being the German and Japanese) the heavy bomber is a Heinkel 111 and the fighter is the FW190. The battleship is a Kongo class and the carrier is the Akagi. The destroyer is an Akitzuki class and the merchantman is a generic ‘Maru’ type. Finally, the tank is a Tiger 1. The selection of models. I have used the UK and Japanese colours as they tend to show up better in the photographs. Of course I forgot the carriers....The infantry figures are the same as for the other games in the series. I have now acquired copies of the original 2004 edition, the 1942 set and the two 1941 copies. The extra bits I need I can get from Historical Boardgaming - this will be the Italians and the other ships and aircraft (from the two 1940 sets) and the all important transport models for the land forces. The models are OK and will for in nicely with the existing collection and the forces are coming together nicely. The P40 is very useful as I can use it for the RAF in the desert and also for the Russians. The FW190 could, bu dint of some careful filing and painting could be used for some radial engined fighters from Russia and Japan. Some of the other fighters could also be converted in a similar way. The merchantmen are particularly useful and so AMCs and commerce raiders will feature in due course. Some of the other ships also lend themselves to conversions with the advantage that as they are fairly basic detail-wise any chopping about will not be so problematic. So all in all then the project is taking shape nicely and I have a good selection of ships to be going along with. It would not be a problem adding some missing types from some commercial ranges - Navwar for one or perhaps C in C for 1/4800th scale models. 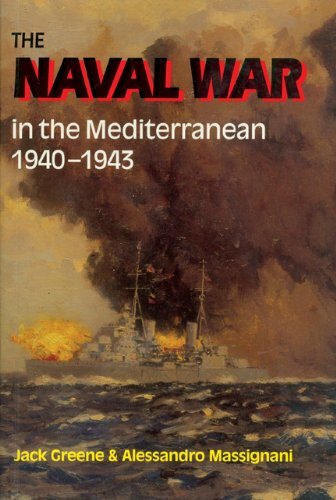 Helping to flesh out the naval section of my Mediterranean library. My 'new' copy was cheap but is ex library. I don't mind that but if I am honest I would not have bought it had it been described as such as I prefer normal copies rather than former library types. Picky I know but hey ho! It never ceases to amaze me how easy it is to fall into the old wargaming trap of project creep. You know the thing - first a new set of rules and a modest shopping list, then something related pops up and before you know it the whole thing has grown way beyond what was originally intended. I like to think I am a leading authority on this curious phenomena as I am constantly suffering from it! Take my recent acquisitions at Cavalier. One cannot think about combat in the desert in WW2 without considering the naval dimension. No problem there as I had already factored this in with the Axis and Allies ships available from Historical Boardgaming (they produce some of the additional RN types - I am thinking HMS Warspite - as well as the Italians) but I wanted some more information on the war at sea. To be accurate I wanted to refresh my memory as I used to game the theatre using the Axis and Allies: War at Sea collectable miniatures with Mr Fox, whom it must be said is partial to the odd Italian. I can only assume that my copy is hiding in the same place as the two Conways that have vanished into the ether because I could not lay hands on it anywhere. Luckily EBay came to the rescue for the princely sum of £3.50 so I now have it back in the collection although I will look to get a tidier version in due course. Again, the list is by no means definitive but it covers the basics and so will suffice to begin with. For a fuller description of the types of grid that can used for wargames you could no better than to read Bob Cordery's book. Work on the WW2 naval rules continues apace and I am close to being able to run a play test. I have a grid I shall use but it is not a square grid as such – rather it is an offset square grid as supplied with the Axis and Allies collectable miniatures game. As supplied the grid was too small to use with the models from the game (which are scaled at 1:1800th) and so back in the day I drew an offset square grid on a large sheet with 9” squares. It was ideal for use at the club and we fought many exciting actions on it with the larger models. Obviously this cloth would be too large for home use – at least for my home anyway - and so now it belongs to SEEMS. The maps that came with the original game I had laminated and still own. The squares are around 3 1/2” across and are perfect for use with the Axis and Allies ships I am currently working on. 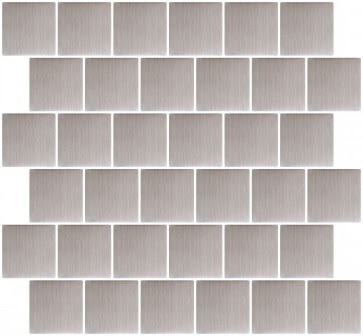 The usual 'brick wall' offset grid. From a perception thing it would appear to be well suited to the 'linear' age of warfare - primarily the horse and musket era. Rotate the brick wall ninety degrees and the orientation of the grid changes. To me seems to more useful for the defence in depth approach of modern warfare. 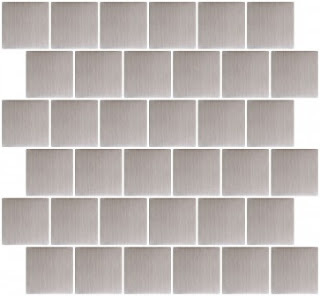 The offset square grid is an interesting beast for sure. 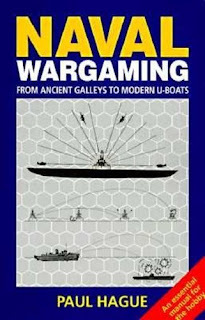 There have been a number of blog posts about the advantages and disadvantages of various grids – Bob Cordery also covers their use in his Portable Wargame series of books – but I personally think the offset square grid has traditionally been the poor relation of the hexed and conventional square versions. 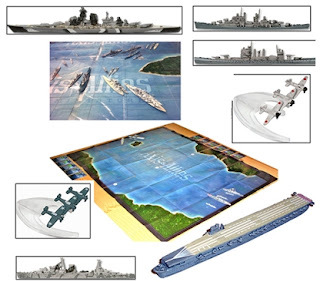 I know that they have featured with some ancient naval rules and I seem to recall a set based on the Russian Civil War using the offset grid but that is about it (and I stand to be corrected). I believe that depending on you orientate the grid (horizontally or vertically) you can better represent the battlefield of your chosen period. I think that using such a grid horizontally (like a brick wall) suits the ‘linear’ or traditional horse and musket period very nicely whilst if you use the same thing vertically you appear to have a greater sense of depth and so would be better suited to the mechanised period. 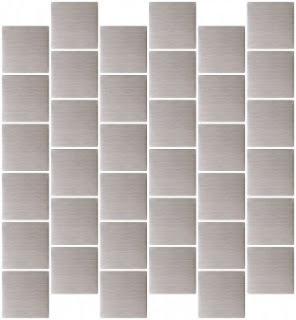 Another advantage of the offset square grid is the ease of making terrain based on the edges of the squares – it is easier to cut right angles than the sixty degree versions of the hexes! This is certainly something I will experiment with in due course but for now the WW2 naval must take priority.